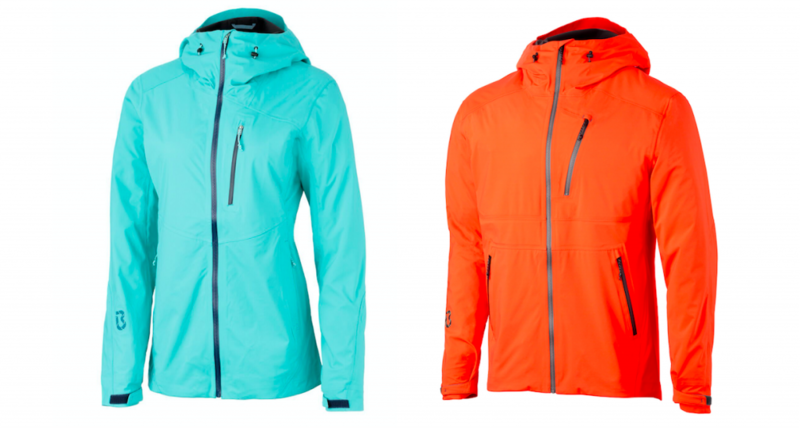 A high-end waterproof jacket that meets the standards of alpine guides. BEST FOR: Mountaineering and alpinism. In the 1990’s the “home sauna suit” was a real quick-and-easy weight-loss fad. The concept was simple: wrap yourself in plastic bags and go for a run. It resulted in “instant weight loss” and for a time Weight Watchers was boycotted in favor of heavy-duty refuge sacks. For many, early waterproof jackets were lumped in with sauna suits: restrictive, uncomfortable and most of all, sweaty. The Neoshell Nuker Jacket, from the Washington-based company Bight Gear, is a first-rate example of how far waterproofing has come since then. The Neoshell Nuker Jacket is designed to protect you “when it’s nuking,” while keeping you comfortable. Polartec, who produce the Neoshell fabric, claim it’s “the most breathable waterproof fabric yet invented,” as it requires a lower pressure gradient than standard waterproof fabrics to move moisture from inside to out, meaning that moisture moves more readily and in more moderate temperature and humidity ranges. We can confirm that while wearing the Nuker during strenuous activity in Colorado’s Rocky Mountains we had no flashbacks to the rustling, uncomfortable sauna suits of yesteryear. Another feature that we rate highly is how soft and supple the Nuker is, and how it doesn’t rustle intolerably as you move. The material is slightly stretchy and abrasion resistant, and the arms are articulated so your movement is not at all restricted. 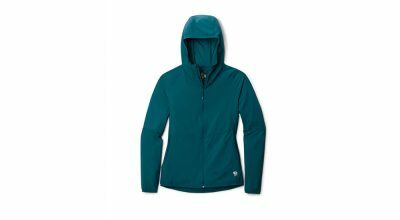 The drop hem, low-profile draw-cord and athletic fit make it comfortable to wear under a harness, and the helmet-compatible hood with rigid brim complete its functionality as a climbing and mountaineering jacket. The main front zipper and three pocket zippers—two side pockets and a single chest pocket—are quick and easy to operate, even with gloves on. 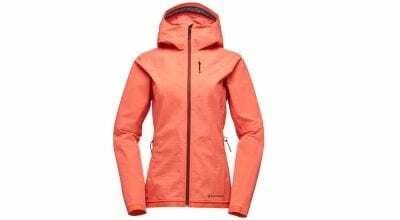 With a $429.00 price tag the Neoshell Nuker joins other high-performance jackets at the top end of the market, but for those who need a professional-level alpine jacket it’s well worth it. Those looking to sweat off some pounds best look elsewhere. Rock and Ice vigorously tests all gear it reviews for either 50 days or 50 pitches. This is a time-consuming process and limits the amount of new equipment we can present to our readers. Every year hundreds of new products hit store shelves, and most of these aren’t reviewed due to our stringent selection and review process. To better keep you more up to date on what is new, we present First Look. Gear in First Look has not always been field tested, but is gear we think you’d like to know about as soon as it is available. Some of the gear will be reviewed using our 50 days/50 pitches criteria, in future print and online editions of Rock and Ice. We have opted to use affiliate links in our gear reviews. Every time you buy something after clicking on links in our gear articles you’re helping support our magazine.